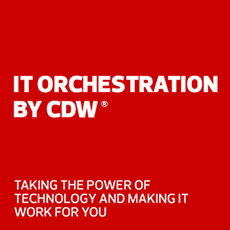 CDW and Cisco can help you build an organization so agile nothing can slow it down. Cisco helps companies seize the opportunities of tomorrow by proving that amazing things can happen when you connect the previously unconnected. Cisco securely connects everything to make anything possible. Let Cisco and CDW take the complexity out of IT with simple solutions for your small business. Grow your business with comprehensive technical support and without sacrificing your security. Cisco's comprehensive security solutions have you covered, from email to network, for small and large organizations alike. Most endpoint security solutions claim to block 99 percent of malware. Discover the 1 percent you've been missing with next-generation security from Cisco. Check out Cisco's first ever 2018 special edition cybersecurity report for small and midsize businesses. What are the five key features your email security solution must include? Use Cisco's checklist to find out. Merge Meraki network management with comprehensive security from Cisco Umbrella. Bring cloud-delivered protection to users on and off the corporate network. Cisco DNA™ radically transforms what your network can do to address the challenges of disruption. See how you can respond to new opportunities faster than ever before. Other organizations have recognized dramatic savings with Cisco Meraki wireless, security and switching solutions. Cisco Digital Network Architecture gives you context for everything happening across all applications, users and devices in your network. Improve collaboration with technology that empowers people to engage and innovate — anywhere, at any time and on any device. Cisco Webex solutions can be easily deployed and scaled to all your huddle spaces with the intelligence of the largest conference rooms. Sponsored by Cisco, Dimensional Research delivers new insights into the increasing value of huddle spaces — small meeting rooms designed for five people or less — around the office, what benefits they deliver and what technologies are needed to support them. The Cisco data center captures the intent of users and applications. It interprets the context of every transaction on every packet, user experience and infrastructure use and continues to get smarter every day. Hyperconvergence technology isn't just a new approach to simplifying data center management. It's also the first step in a massive shift of what's possible in IT environments. Stay ahead of the competetion. Become a hyperconvergence innovator. Cisco delivers a data center that learns for you. Ensure that every application performs as expected and deploys to the right processing environment while gaining seamless multicloud mobility and pervasive security. Learn how innovations have transformed HyperFlex into a multicloud platform to power any application anywhere.